Self-Catering Shepherds Cottage, a unique self-catering opportunity for just 2 adults, on the outskirts of Middleton In Teesdale. A visit to Teesdale offers an ideal holiday or short break. Teesdale is the inspirational Durham Dale with a spectacular unspoiled landscape and stunning heritage sites. Here you can drive for miles on quiet, open roads, walk on waymarked footpaths, cycle along quiet country lanes and pony trek through heather and woodland. Within the gallery, you will find some pictures of our Shepherds Cottage in Teesdale, situated in the heart of the Durham Dales. 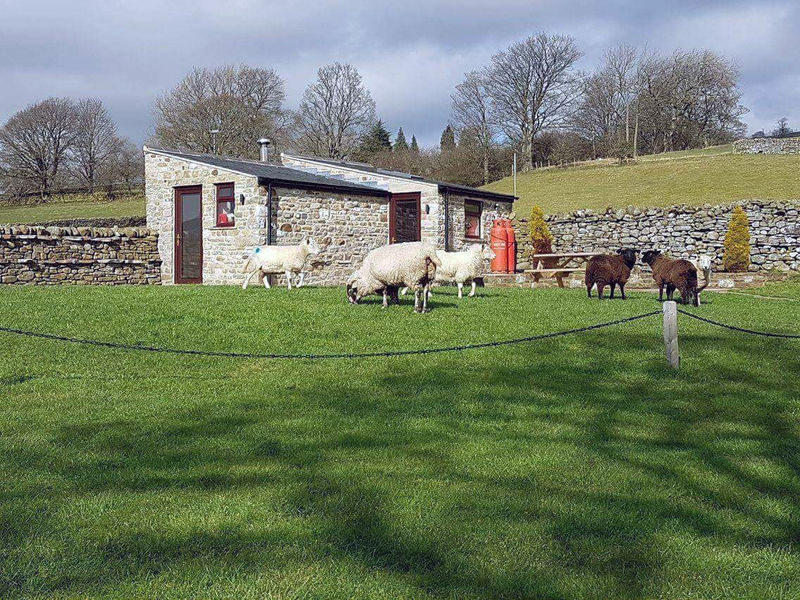 In our Self-Catering Shepherds Cottage you can choose to have a holiday fishing on the River Tees with our 1000m of free river bank at your disposal, or walk the fells of the tranquil, stunning and delightful Teesdale valley, or maybe you just want to have a change from using a tent or a caravan, the choice is yours. For all bookings, there is a 2-night minimum stay and a 3-night minimum stay for ALL bank holidays. Prices for the cottage start from £55 per night for 2 people. A £75 refundable deposit per booking is payable upon booking. This will be returned within 1 week of departure, subject to no damage being caused. (Please call us if this has not been returned within this time). We are sorry but we cannot accept dogs or any other pets in the cottage and smoking is not allowed in the cottage, thank you for your understanding. Arrival time is after 3pm and departure is by 10am – this gives us time to clean and prepare for our new guests.